Don’t worry, you aren’t the first person that’s never heard of vaporwave. You’ve probably seen the art movement before. Classic elements include Greek sculpture, the appropriated use of Japanese characters, a random bottle of water and the Window’s 95 interface. The art movement branches out into music; trippy elevator tunes played on loop, and glitchy TV commercial jingles from the USA. Your most recent experience of this movement will most likely be the cover artwork for AKA’s recent single, Caiphus Song. The movement came into mainstream recognition in early 2010. Vaporwave quickly became popular because of its overarching themes of consumerism, an exploitation of capitalist iconography and the childhood nostalgia of the 80s and 90s in the global north. It was, and can still be considered, a symbol of the zeitgeist of the early naughties so obsessed with the banality of the internet. Your favourite Cape Town hipsters believe that the movement has died. 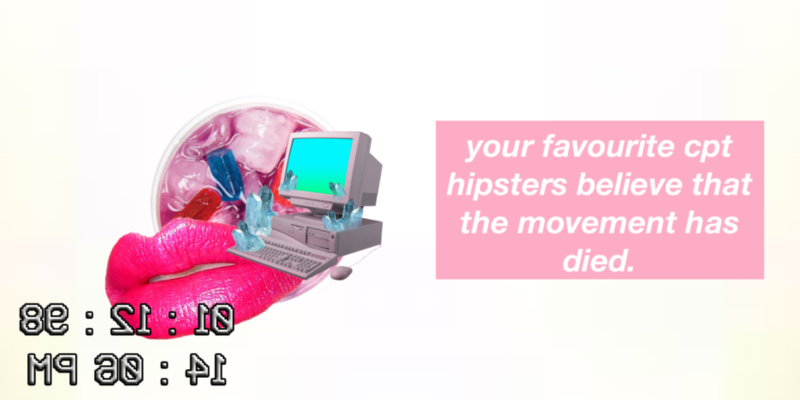 They will also murmur ‘long live vaporwave’ under their breath. There is no appropriate context of vaporwave in post-apartheid South Africa. Which is unfortunate as the ideologies of this aesthetic seem to correlate with the collective anxieties of 2k17 youth across the country. 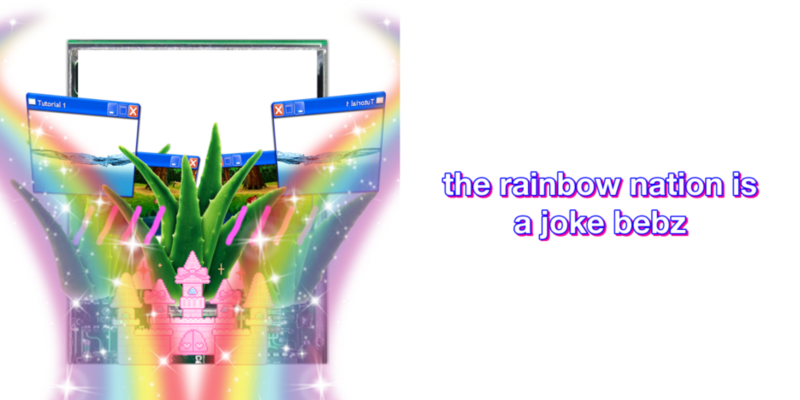 The subjects of counterculture, escapism, our cynical views of globalisation and how we side-eye the utopic Rainbow Nation are relevant to vaporwave’s fascination with rewinding and reimagining our collective cultural memory. The movement’s use of the screengrab, repetitive superimposition and surrealist composition complements our current understanding of dismantling, collaborating and trying to make sense of our country. While the art movement is considered post-internet (which describes the triviality of the internet in a networked society) South Africa has a different relationship with the internet. We’re playing catch-up, and trying to fill the gaps in a country where less than half of the population has access to the internet, and when we do it’s mostly on mobile. A movement that would otherwise not exist without desktops and access to the world-wide webs could not, and would not be readily attainable. Vaporwave as an art form may no longer be popular, but the calls to keep it alive are still audible. Everything is going mobile right now, and apps like R4VE and cyberart have attempted to give power to the ordinary phone user and allow them to easily create and share their own art works. 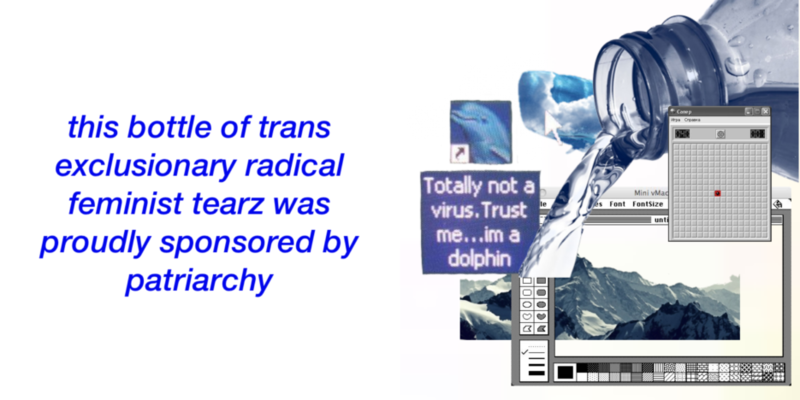 The apps come with packs of backgrounds, typefaces, and images that are standard vaporwave symbols. What this has allowed is a democratization of art, removing elitist barriers to entry and allowing your smartphone to be both canvas and white cube. The gallery is now mobile, and all are welcome to witness and favourite. Err, like. I meant like. Navigating the shaky intersection of digitality and intersectionality through internet art is an opportunity that might provide nuance to our collective musings on the state of politics in post-apartheid South Africa. Callan Grecia’s most recent solo exhibition was aptly titled These Aesthetics Are Not New; a high-key subtweet but also a deliberate reminder to The Culture. Grecia’s exhibition highlights how aesthetics are cyclical and gain greater visibility through the internet. 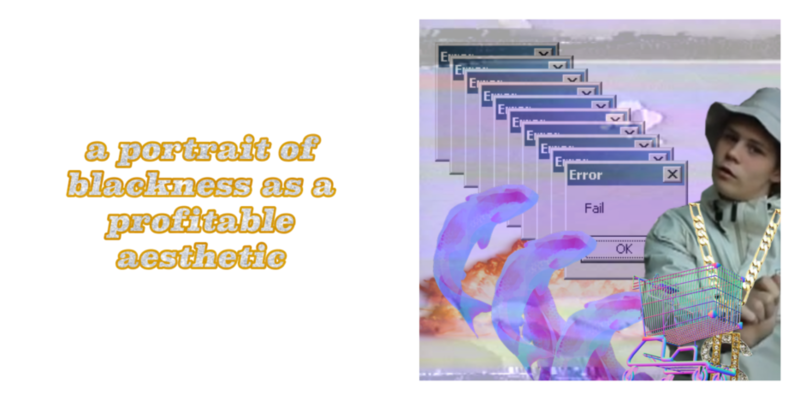 The series of artworks explores the loop of IRL actualities transferred online, and complicates this by subverting URL concepts into tangible mediums. The white normative view of black and brown artists working through the politics of identity is also explored. Whether the art form will revive itself and become widely adopted in SA is hard to tell. The Vaporwave South Africa Facebook page is sitting at an amazing 7 likes, and a Google Trend report sees a small interest in the term ‘vaporwave’ in South Africa (with most of the searches coming from your favourite Cape Town hipsters). The internet helps to facilitate engagement between people across the world, but it is worth considering how black internet artists could benefit from their artistic production. Black, brown, queer and transgender people have been exploited for their contribution to culture, both deliberately and not, through hashtags, art and knowledge production. An embracing of vaporwave might be significant, but who will benefit from this kind of art in a white capitalist state like South Africa? Tiger Maremela is a millennial hyphenate trying to make sense of the world by endlessly scrolling through the internet. You can subscribe to their (sometimes) weekly newsletter, internet treatz, here. All artworks by Tiger Maremela. This piece was first edited by Youlendree Appasamy. Well I do believe that this is art.